The current business climate has remained steady, trading wise. But foodservice equipment suppliers are having to build their future plans around the practical, financial and political implications of the UK’s withdrawal from the EU. Essentially this comes down to effective cost and revenue management, to ensure that businesses are able to manage any changes. CESA is a member of the EURIS taskforce, which has been in communication with the government on the key issues affecting UK manufacturing and distribution. This has been a complex process as we need to ensure that as EU legislation is transferred to UK statutory instruments that there are no changes to the requirements in the event of a no deal Brexit. There are 20 European Directives or regulations that affect foodservice equipment. Suppliers want 100% alignment of regulations between the UK and Europe to avoid the UK becoming a dumping ground for non-compliant equipment. This has been at the heart of CESA’s work for well over a year, and we have prepared a toolkit for members which examines the key areas where they should be considering precautionary measures to ensure they don’t get any unwanted surprises. Modern manufacturing processes rely on high volumes of import and exports to keep up with demand, which means the only practical way to mitigate the risks is to build up a stockpile. Continuity of supply of spare parts and consumables will be essential to the continued performance of operator companies. 1: Apply for an EORI number. In the event of a no deal Brexit, companies will need this in order to continue trading with the EU after the 29th of March. In order to apply, simply fill in the correct form on the HMRC website. There are different forms if you are VAT registered, not VAT registered and exporting and not VAT registered and importing. Your EORI number will be issued by email, usually within three working days. 2: Map and audit your supply chains. In a no deal scenario, trade with the EU will be on non-preferential, WTO terms. This means that Most Favoured Nation tariffs and non-preferential rules of origin will apply to consignments between the UK and EU. You should confer with your critical trading partners and ensure they have contingency plans in place. It’s also worth considering alternative transit arrangements in case existing routes are blocked. HTS Classification. Everything you import or export will need an HTS classification. This determines the duty rate paid at import. Further information about these codes can be found on the Government’s Trade Tariff Service website here. Duty Payments. Post Brexit, all goods coming from the EU will incur duty. If you do not have a deferment account with the HMRC, consider obtaining one, and if you already do check that you have an adequate level of guarantee. Deferment accounts allow you to defer duty and import VAT to the end of the month. You will, of course, need a bank guarantee to cover the average amounts payable in a standard month. Register for TSP. Transitional Simplified Procedures aim to reduce the amount of information required for an import declaration. This allows you to defer giving a full declaration. Further information on how to register can also be found on the Government’s gov.uk website here. The difference between ‘deal’ and ‘no deal’ depends on what deal is reached, if at all. However, the no deal option will be very difficult to manage due to the business and financial models that have been underpinning British business for decades being completely rewritten. The sudden requirement for additional customs, tariffs and reporting requirements on all goods will create administrative burdens and associated costs. This will also remove UK access to, or engagement in, the European policy and decision making processes relating to key issues like environmental matters, the circular economy and product health and safety to name but three. The UK has been a strong influencer on such matters in Europe until now. 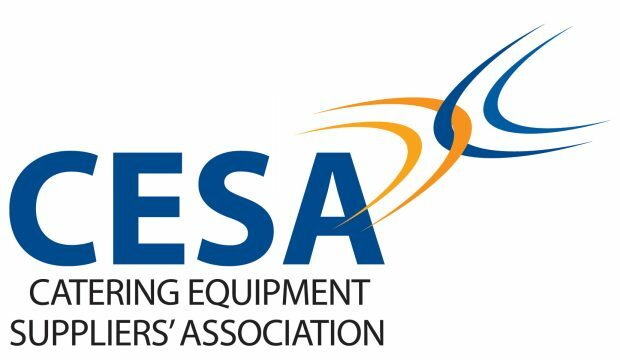 CESA will try to mitigate the impact via its active membership of the European Federation of Catering Equipment Manufacturers (EFCEM). Are there any positives in the current situation? Businesses are preparing themselves as best they can, but it can be difficult to imagine many positives particularly under a no deal scenario. However the boards of companies are resilient, and well positioned to deal with unexpected developments. They have access to real-time reporting of information on performance and are able to make the kinds of key decisions that ensure a sustainable business model is maintained.